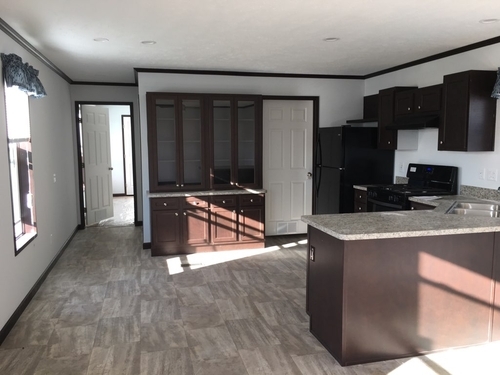 Hurry in....Beautiful 3 Bedroom /2 Bath Spacious Brand New homes come complete with New sleek black kitchen Appliance's, Drywall through-out, 6 Panel doors complete these beautiful modern homes. Feel like a chief cooking for your family in your spacious New Kitchen. These homes offer Modern Cabinets, Vinyl wood flooring through-out your open living space of 1280 square ft. Call Us Today, 3 Floor Plans to choose from!!! Northtowne Meadows is a gorgeous community that is a wonderful place that you would be proud to call home. With the top notch Bedford Schools ranked fourth in the state this is a great place to raise a family. Our community offers garbage pick-up twice weekly and FREE Cable. Also, you have all the conveniences of Ohio without the Property taxes since we are located at the State line. Northtowne Meadows is located just minutes from I-75. Centrally located only 15 minutes from Perrysburg, OH or Monroe, MI. The property is professionally managed by a friendly staff that truly cares.....Stop in today we would love to meet you.